*Physical Fitness – Just like with adults, one of the most common reasons for enrolling your child into a Martial Arts class is Fitness. Martial Arts can help improve their Endurance, Flexibility, Strength and overall Energy levels. *Life Skills – Another popular reason for enrolling children in the Martial Arts is to develop “life skills”. These life skills include Leadership, Discipline, Focus and Self Control. The idea with these classes and this motivation is to reinforce what is already being taught at home. 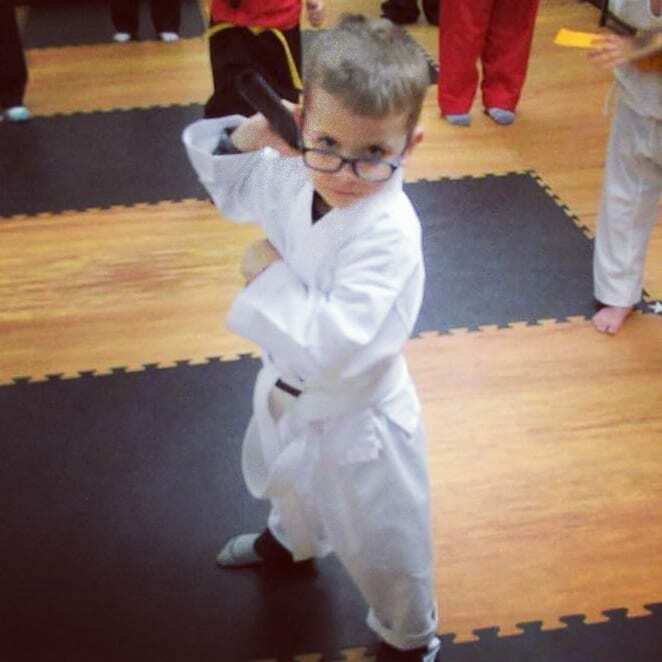 *Self Defense – Self Defense is the most obvious reason that should come to mind when considering enrolling a child in the martial arts. The focus of a good children’s Martial Arts class should teach Conflict Resolution & also having Personal Responsibility. *Behavior Issues – Many parents turn to the Martial Arts when their children are acting out in school and at home. This is tied in to the life skills reason, but is very specific in what the desired outcome is. Parents are looking for help improving Attention Span, Respect, Demeanor and Self Control. *Safe, after school activity – Many parents are just seeking a Safe, Wholesome, Useful activity for their child to occupy some of their free time. Martial Arts training will certainly help in that respect.